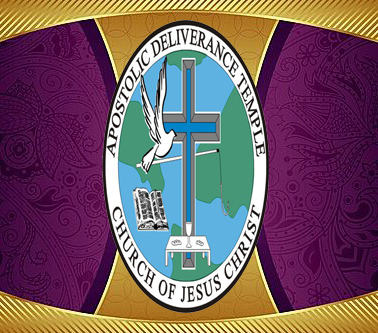 The birth of the Apostolic Deliverance Temple Church of Jesus Christ. The first service held at the Lemoyne Gardens Auditorium for Sunday services. 27 members were in attendance. The ADT Newsletter was started as the 1st Outreach Ministry. The radio broadcast which was heard on KWAM on Fridays at 4:00p.m. was the 2nd Outreach Ministry. ADT formed an alliance with Bishop Arthur Mooring and ADT Church in Dallas, TX. ADT moves into a newly-built edifice constructed to hold eight to nine hundred souls. ADT Daycare was organized, presently known as ADT Child Development Academy, NAEYC accredited, a 3-star facility. Elder A.L. Goodwill and the Harvest Evangelism ADT Church of Houston, TX joined the ADT church family. Trueway ADT joined the ADT church family. Lifeline Outreach Ministry began filming a telecast that would reach people all over the world. This was the 3rd Outreach Ministry to be born. the 4th Outreach Ministry was born. Apostle Maples and First Lady Maples travel to Ghana, West Africa to conduct a revival. Nohwaa (Far-a-way) ADT joins the ADT family. Narroway ADT ? Pine Bluff, Arkansas and Straightway ADT ? West Memphis, Arkansas joined the ADT family. The saints canvas the city of Memphis to recruit souls as candidates for baptism. Apostle Maples conducted the first city-wide baptism in Memphis history. Over 200 souls were baptized in Jesus’ name in 2 days. The choir wins the Singsation Champs and Paulette receives the award for #1 Choir Directress. Apostle Maples and the ADT Rapture Ready Choir records and releases its first CD. Apostle Maples wins the Pastor of the Year award given by the Bridge Awards. Additional awards: Paulette Douglas received the award for Best Choir Directress and James Douglas received the award for the Best Organ/Piano Player. Nominations: Erma Maples nominated for Best Lead Singer (Higher and Higher). ADT celebrates 30 years of service in the Memphis and Shelby County community. End Time City-Wide Tent Revival held in Whitehaven Plaza. Many miracles performed. Souls saved, bodies healed. A total of 27 services were held on the parking lot under the Gospel Tent.